Hooves of a hundred passing wildebeests astound the hungry lion. In the distance, a giraffe has just given birth to a blood drained calf. 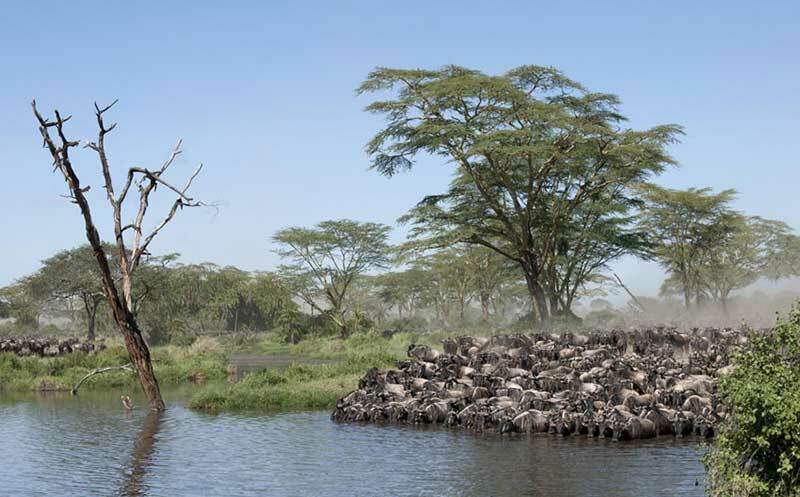 Thirsty gazelles surround the drying lazy lake and eagles soar high in the sky waiting for their prey. Channel switch, loud music plays on your television. You look out of the window as your children jump around you. “When are we going for that safari?” asks the little one. Questions buzz in your head; will it be safe to take my 10-year-old into the wilderness? Where would we stay after our safari? 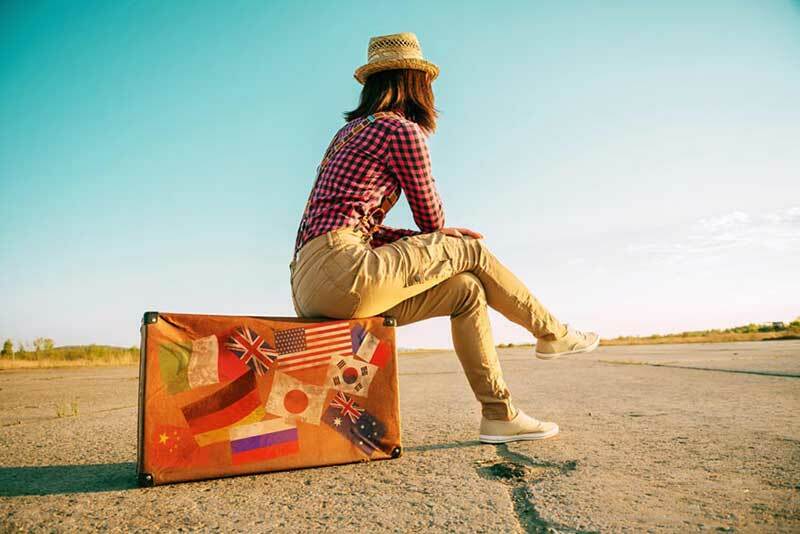 What should be carry in our suitcase? The curiosity is endless. If a wildlife adventure has always been in your wish list and if clouds of doubts are holding you back to book that flight to Tanzania, we have got your sorted! 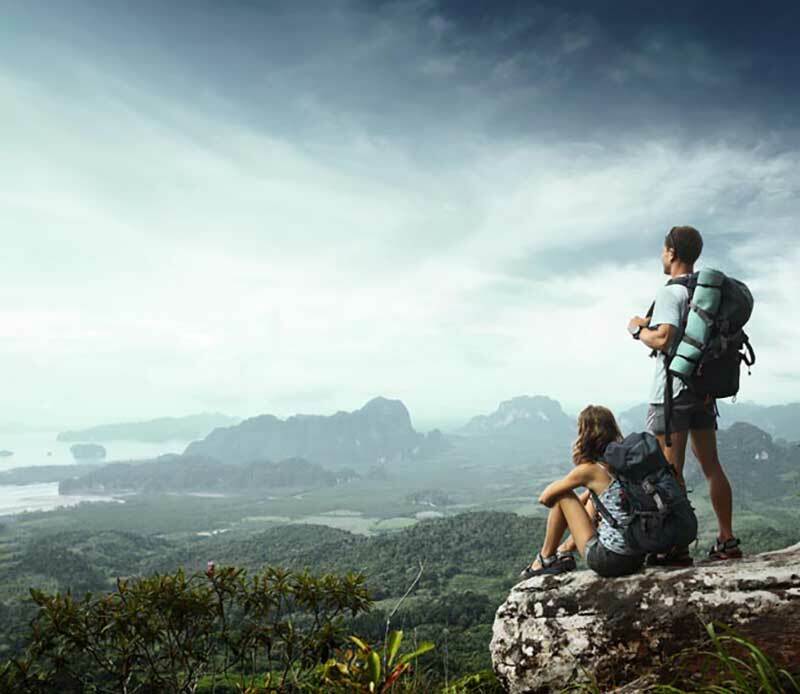 You will love moving around the bush in your khaki pants and cotton t-shirts without regretting for not carrying anything ‘more’. The Northern Safari Circuit is relatively cooler during the dry season from June To November so consider carrying few woolens and warm jackets. 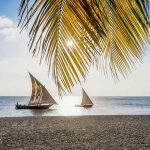 Don’t forget cameras, extra batteries and a swimming costume, especially if you are considering Zanzibar or other coastal destination in your itinerary. If you would like to experience an authentic bush safari, what better than staying in a tent with a probability of greeting a lion in the morning? 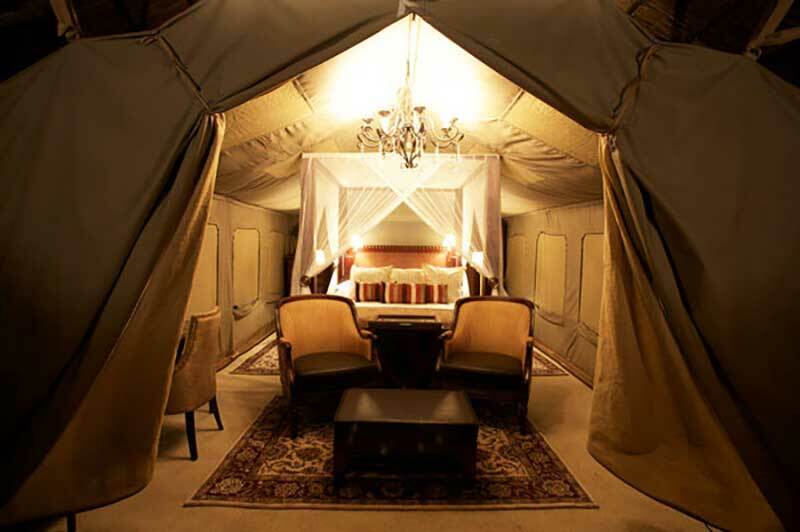 Tanzania’s luxury glamping options will get you super thrilled to start your bush safari. From the finesse of the plush beds in your luxe tent to hot showers and delicious food, you would surely remark, “oh wow this was something unexpected.” Explore from hundreds of top luxury camping options with us. It is true that there is no power supply for 24* 7 in the bushes of Tanzania. This is in fact the highlight of your safari. Staying away from the virtual world and connecting with nature is one of the greatest pleasures of life in Africa. That does not mean, you have to live in the dark. A regular power supply from early to late morning and evening to early night is assured at most of the camps. For the other time, you will love making most of the moment. We suggest you choose a dedicated agent or a tour operator if you are traveling in Tanzania for a bush safari. Your accommodation preference, dietary requirements and activities will all be planned as per the age group of your children. 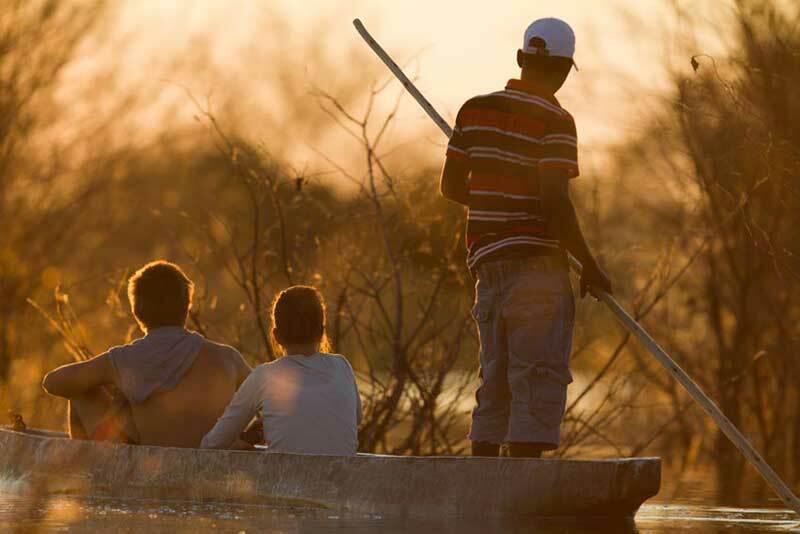 The travel agency will also choose for you an experienced guide for your bush adventure. Remember to choose hotels as most camps do not allow children below 8 years old. Depending on the destination you choose, there is always a reason to pick the right season. While low season offers last only for two months in* April and May, the dry season attracts a descent crowd during the months of June through December. 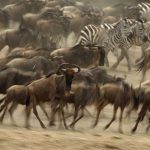 Serengeti migration offers run from February, Whale Shark diving from October, Zanzibar is a full season attraction and most safari destinations receive rainfall in April and May so those months should be considered carefully. 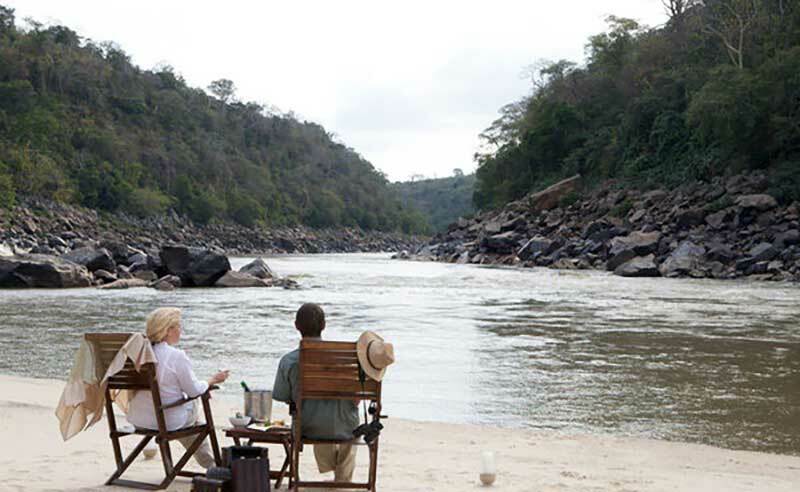 If you are considering a bush safari for your honeymoon experience, you will love indulging in moments of intimacy, privacy and a luxury treatment. From the exotic bush camps in the Southern Safari Circuit to the relaxing beaches of Zanzibar, take a bush and beach holiday package. 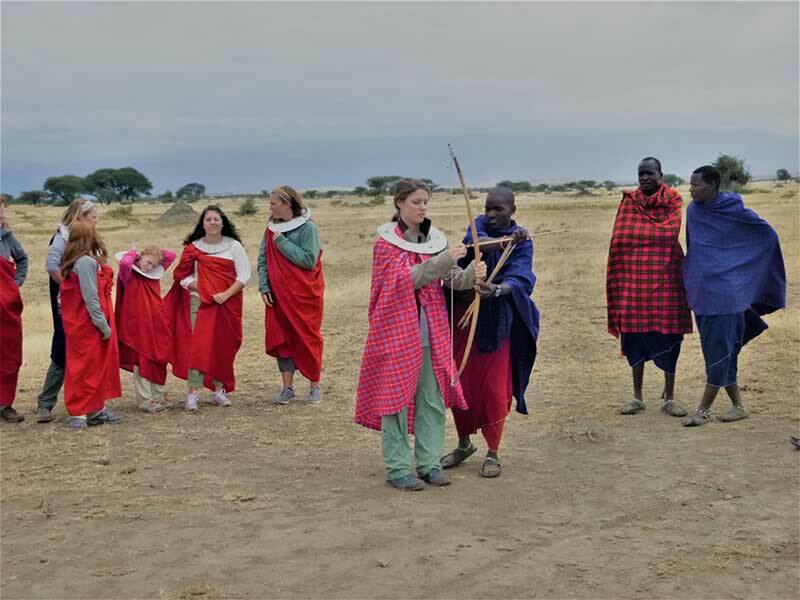 Experience culture, safari drives, nature, adventure and above all the royal hospitality in the soul of Africa. Bush Safaris are beyond long drives and spotting animals. 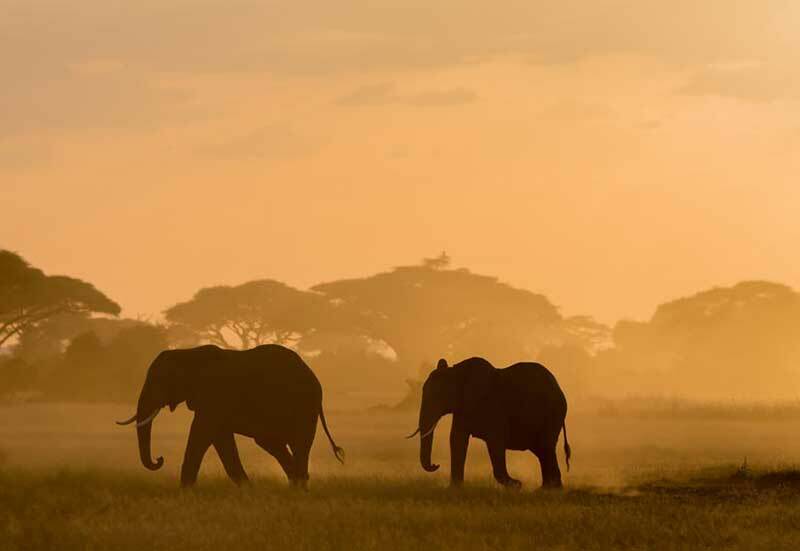 Tanzanian landscapes are majestic and magical and give you the change to explore nature to its best. 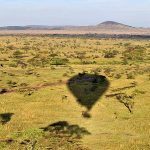 From walking safaris and sunset cruising to fly camping and dinning under lantern lit baobab trees, there is so much to do in Tanzania. We know you have a lot of other specific questions to ask. 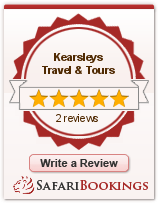 Write to us and our top safari consultant will get back to you in 24 hours. We are excited to host you for a real bush adventure in Tanzania. Karibu (welcome).